Jambo Everyone: It's Time to Get Excited About Avatar! Let me start by saying I understand the issues people have with the idea. It’s not a Disney film, it only kinda-sorta fits into the park’s theme, we would rather have dragons and unicorns, yada, yada, yada. I get it. That was my first reaction as well, but it is time to put them behind us and start looking at the positives. Because there are plenty of reasons to be excited. For one thing, the history of Disney attractions tell us there is clearly no relationship between movie quality and attraction quality. Many of Disney’s best attractions were created with no film to base them on and some popular film/character franchises have spawned less-than-groundbreaking attractions to say the least. (See Winnie the Pooh and Stitch.) And a few great attractions have been born from what I considered less than spectacular films, or certainly films less popular than Avatar. (See Cars, Song of the South and The Adventures of Ichabod and Mr. Toad.) So without getting into a debate over whether you agree with my opinions on the above films, let me just say that a great attraction is a great attraction regardless of the film it’s based on. The only common argument against Avatar I agree with is the one that says this project is the first slip on the slide towards a Disney’s Hollywood Studio-style thematic mess. That is a scary prospect for sure. But the reason I think there is little chance that will happen is because Joe Rohde is in charge of this, and I just don’t see him allowing his beloved DAK to have that kind of hodge-podge feel to it. Details and theme are the pillars upon which Mr. Rohde has built his entire career. Even in areas of DAK permanently scarred by budget cuts during development, Rohde managed to tell a story and add the detail elements he seems to demand. But unlike the current Camp Minnie-Mickey, Avatar-Land is not at all what one would call a “low budget” project. Quite the opposite if reports are to be believed. 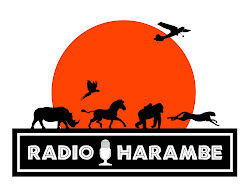 And when Joe Rohde is handed a boatload of money, he comes out with brilliant, story-filled attractions like Kilimanjaro Safari, Expedition Everest and Maharajah Jungle Trek just to name a few. The kinds of attractions that have made Imagineering so loved and emulated. I have faith in Mr. Rohde, and the critics should too. I would wager to guess half the folks who love the Twilight Zone Tower of Terror have very little knowledge of or love for the classic television show it was based on. And the same can be said for Splash Mountain. My hope is the same result happens with Avatar, with the added bonus of lots of guests who, in fact, do love the movie. 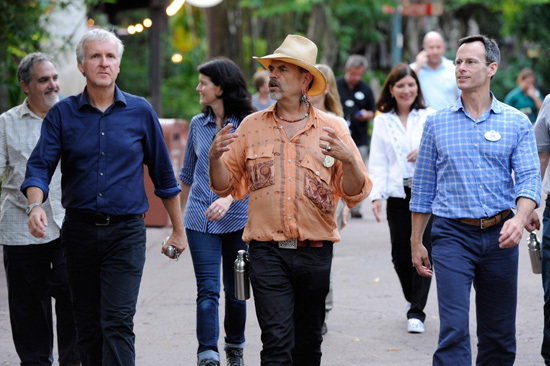 While we may not be shouting with excitement over the film, we can start to be excited over another gigantic Joe Rohde project being built at Disney’s Animal Kingdom. Whether you loved the film or not, and no matter your feelings regarding James Cameron, this project reflects a major investment into DAK and I for one am excited about it. With all due respect to you Dave, if the extent of the Avatar defense is "Joe Rohde + money", then I'm sticking with the negative. The bottom line is it will never have a place in Animal Kingdom, a park about detail and subtlety and (even with Dinoland USA) reality. This is not Disney's Wild Animal Kingdom, and any pretensions about fantasy were lost long ago. This is an ill-advised cash grab on a vapid, insipid film series diametrically opposed to what DAK represents. I can think of no realistic move that could cause more damage to the park. I agree with you 100%. If you can create an amazing themed experience with high levels of technology it can be amazing. The story of Avatar has to deal with conservation which is AK's theme. And as you said, Rohde created Everest and Safaris... If you ask me, its the blending of sci fi and conservation, which has never been done before which scares people. They would rather have a proven concept, which is something Walt didn't like himself. I think its going to be amazing and will proven the world wrong.